The end has finally come. Professor Layton and the Azran Legacy is the last Professor Layton game, according to developer Level 5. (Professor Layton vs Phoenix Wright is coming to America later this year.) They are continuing the Layton series with Layton 7, but it is going to be something significantly different. I am a little sad to see this change happen, but I recognize the need for change. 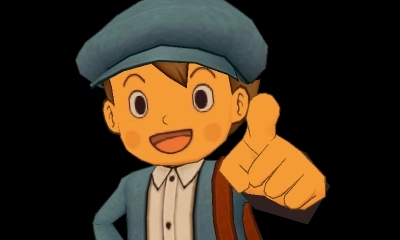 We have gotten six Layton games, plus a movie, in little more than seven years. I love the characters and I love the puzzles, but I don’t feel like they have anywhere new to go with them that doesn’t change their fundamental relationship. Honestly, that breakdown has already started with Azran Legacy. The puzzles have always been the first draw of this series. Their appeal is still there. As usual, there are 150 puzzles scattered throughout the game, very few of which must be completed to beat the game as long as the player beats enough to pass a couple of checkpoints. I don’t see these sorts of brainteasers ever losing their appeal. The interface problems I had with the previous game still exist. These is an uncomfortable disconnect between nice looking diorama-like environments that Layton and company visit on their adventures and the tapping the player does to interact. Most of that comes from having the touch screen on the bottom and the 3D area on the top, so the player is not actually tapping where they want to tap, they are using the bottom screen more like a mouse. It just doesn’t work as well as it could. I understand why they stuck with that, the 3D environments look too good to give up on, but at times it makes playing the game a bit of a chore. At least it looks good. Outside of the environments, the characters look a whole lot better in this game than in the last one. Last time, I found the newly 3D Layton and Luke to be somewhat off putting, but either I’ve just gotten used to how they look, or Level 5 cleaned things up considerably. The story, on the other hand, is a mixed bag. It starts strong, and has all the elements to provide the same sort of entertainment that the rest of the series did. The mysteries of Descole, Bronev and the Azran civilization that have been building for the last couple games are finally brought to a head. This should be the grand culmination of all of that. It starts well, with Layton meeting a colleague and finding a frozen magical girl. After a brief detour in London, the game then jumps to a globe trotting search for hidden artifacts. Unfortunately, during this part of the the adventure the mystery of Bronev and his organization Targent is largely sidelined. They have a presence, but it is mostly in the form of a pair of bumbling lackeys. Still, the individual episodes at all of the stops are classic Layton, even if they don’t feel like they are contributing to the overall storyline very much. It is the final quarter of the game where the disappointment sets in. There are two causes for this disappointment. The far lesser one is, spoilers, that the story hews very close to Studio Ghibli’s Castle in the Sky. 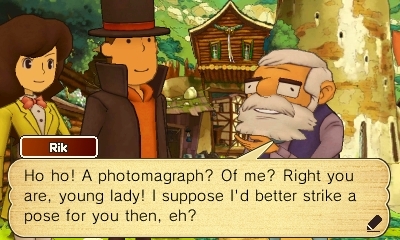 It is not uncommon for video games to take cues from Castle in the Sky, but Professor Layton and the Azran Legacy’s homage is just a little too close to the real thing. It brings little new to the familiar premise. While this is somewhat disappointing, there are far worse things to do than steal from Miyazaki for your ending. What I liked the least was a series of rapid fire revelations that were each ridiculous on their own way. Any one of them would not have been so bad, but the entire mess of one on top of the other was unbearable. 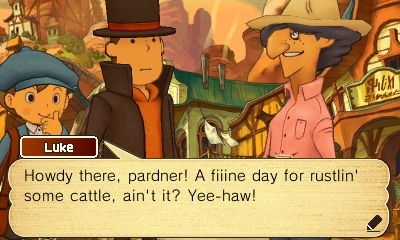 The Layton series has been no stranger to stupid plots twists and asinine revelations, but usually they are at least interesting. The ones here reek of fanfic. The whole plot of Bronev and Descole ends in about the least satisfying way possible. So Professor Layton’s story ends with it least enjoyable adventure. It is disappointing. Of course, never say never with video game characters. 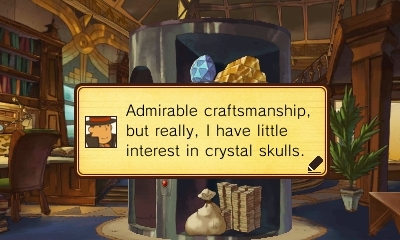 Level 5 seems eager to go a separate way with this series, but if Layton 7 bombs, I wouldn’t be surprised to see more games starring the top hat sporting archaeologist. Even though I found The Azran Legacy to be disappointing, I can’t say I disliked it. It has everything that made the series so enjoyable. I just wanted, even expected the series to go out with a bang and instead got a whimper.